If you were to ask me at most times in my life to name two things I simply couldn’t live without, I would say potato and bourbon. Well, this new product is going to save me a lot of time. 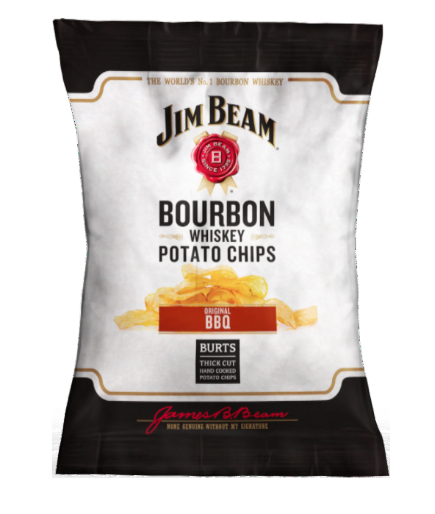 Say hello to the new Jim Beam flavoured potato crisps from Burts Chips. These crisps actually have Jim Beam Kentucky Straight Bourbon Whiskey as an ingredient! You can visit the brand’s official page for the crisps, where you can read all the ingredients and see them listed as vegan and gluten free. The new Jim Beam crisps have been launched in Aldi stores around the UK, as well as independent food retailers.